Thank y’all so much for your kind words about our next chapter: building from scratch in our very own woods! They may only be .6 acres of woods, but to us, it feels like a giant preserved forest after small city plots! We’re so grateful and excited. We’ve wanted to build from scratch for so long and are so excited to learn from this different experience. But like all learning experiences, we assumed there’d be some hiccups along the way. And let’s just say, there have been more than expected! But we keep reminding ourselves, we’re learning and we’ll have skills after this build we didn’t before. And that’s a good thing! Not to mention that we’ll have a house we are so so thrilled to get to live in. I’ve spent a lot of time just looking around our house and thinking back over our last ones to nail down what we love and want to do again and what we’ve learned from and want to do differently. Nailing down a floor plan has been hard with many “toss it and start over” moments so far. And we’re still not there at all. But we’re getting closer! I wanted to pop in today and give y’all the first details for what we’re building, share the style inspiration I’m loving for it, and ask for y’all’s much-needed advice! First up, what are exactly are we building? I said in the last post that we’re working with HOA requirements. They’re not too strict thankfully…I think that would be really difficult for me! But they’re are some size and lot placement requirements. SIZE: In deciding what size of a house to build we had two opposing goals. 1.) We wanted enough space for our family to grow as much as it needs to in the future. I think we can go too far with that idea and build more than we need for sure! What do we actually need? But that was a factor bedroom-wise etc. 2.) We wanted to keep it as small and efficient as possible and still meet that first goal. The HOA’s minimum requirement is 1800 square feet: 1200 feet on the first floor and atleast 600 on the second. That size sounded perfect for us so we said, okay we’re going to build that and no more! As we’ve gotten into it, it seems there may be a little extra upstairs in the eaves that wouldn’t be too expensive to finish since it’s already there. So, it looks like we’ll end up somewhere right around 2,000 square feet. It’ll be the same size of our last house and in some ways, that number feels huge!!! But I’m really excited for how the space is starting to shake out. And I’m SO excited to build a two-story house. Isn’t that such a funny, small thing? You always want what you haven’t had I guess. Now, let’s talk STYLE INSPIRATION! There’ll be so much to share as the vision really starts to take shape. This is just a first glimpse at what I’m being drawn to right now! Last night, a creative friend was asking me what style I would build because I’m drawn to so many different ones! And it’s true, I am! So I think this house will be an eclectic mix of styles that is really true to all the things I love. I am loving the very collected feel of these! I’m drawn to the idea of a European fairy tale farmhouse/country house. Does that exist? In my head it does! Now, here’s some style shots I’m really drawing inspiration from as I start to design this house…that we still don’t have a floor plan for yet! But take the creativity as it comes, right? 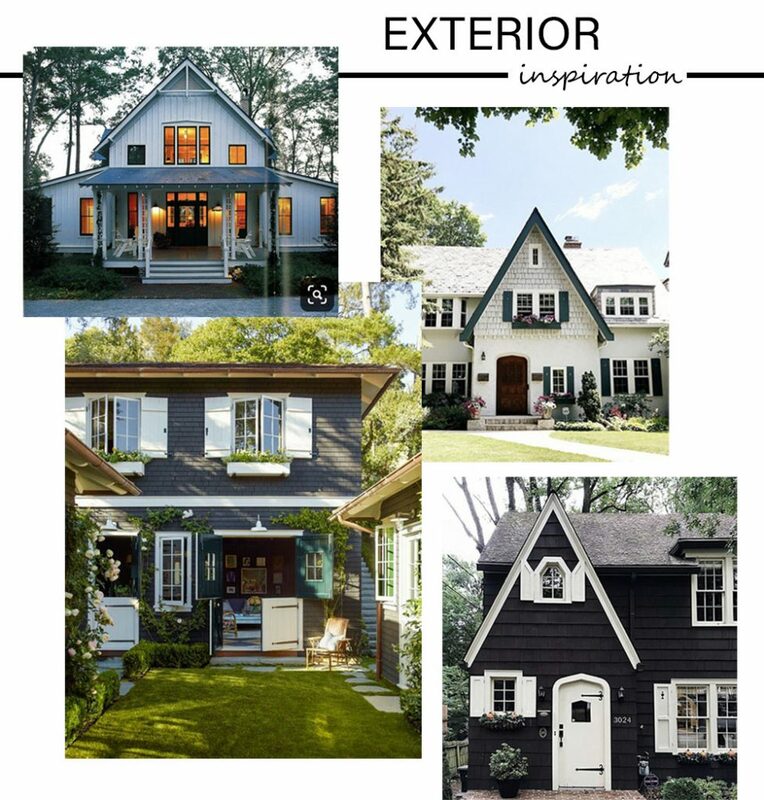 You can find all of these on House Build Pinterest Board. Ahhh, so much I could say about my dreams for this house. For now, I’ll leave you with this glimpse of the style I’m going for! 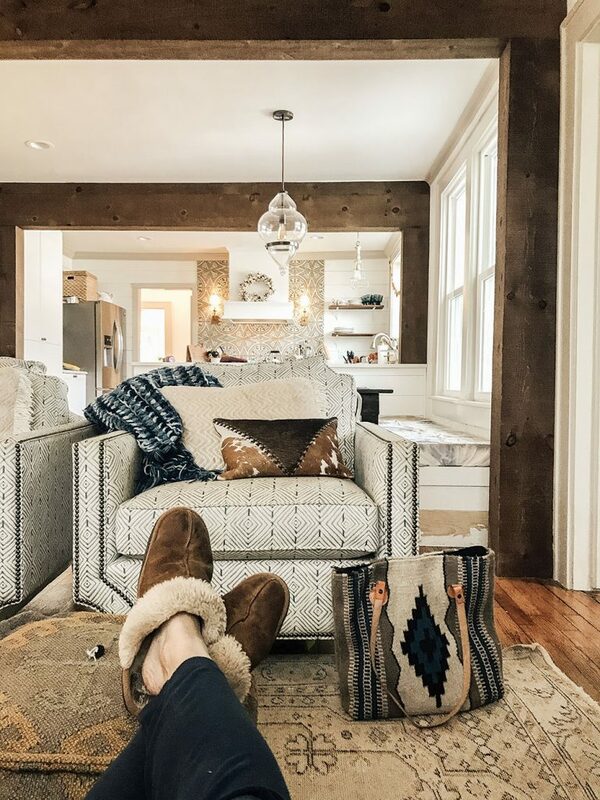 Click over to my House Build Pinterest Board to see more inspiration I’ve saved and to watch as I update the inspiration throughout the design process. I’m going for collected, texture, a new build that feels old. Budget is a very serious factor, so we’ll be limited by that in some ways for what I want to create, BUT I’m such a firm believer that you can have a beautiful home that’s “you” on any budget. And now, I WANT YOUR ADVICE! As I said, we are in the very, very early stages of designing this build. And I would LOVE to hear your advice! What do you love in your own home? What do you wish you had? If you could build a house, what’s the #1 thing it would have! Send it all my way, friends, cause girl needs the help! I’ve been designing my one-day dream house in my head forever and it’s fun to see that this house has so much of that list…it seems my dream greenhouse off the kitchen I’ve “designed” may have to wait, haha! But the rest of it is taking shape. 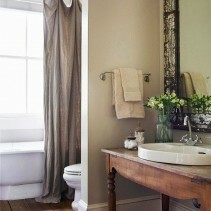 Now what’re your must-haves and loves when it comes to home? the one thing i always wish we had and we have NEVER had is a mud room! i would love a drop zone for everything and for shoes to come off!!!! I absolutely love having a big window over the kitchen sink. Picking windows and doors that really let in light and allow you to see and enjoy God’s surrounding creation. 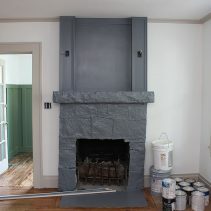 In addition, a wood burning fireplace in the family room is pretty special…. How exciting to watch your house plans evolve!!! I have no doubt it will be beautiful and filled with inspiration!! I also love plants but don’t really have great lighting for indoor house plants (they are all bunched up in front of the East facing window) and the wind blows too much in Kansas to have many houseplants on our back porch in the Summer. * Our laundry area is by our back door, which is right between our bedroom and our only bathroom. If we were to build, I always tell my husband I want a set-up like this because it’s very easy to get the laundry done. * We have a separate small room when we step inside our front door. It currently acts as tool/project storage, but I love having an actual room for an entryway/mudroom, or, ya know, tools. There are doors to close it off from the rest of the house, too. 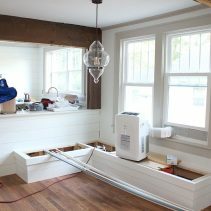 This seems so minor in the grand scheme of things, but I’ve always wanted a Dutch door! – electrical outlets in master bath drawers for hair driers, etc. It’s a mud room for the win! I agree with others here, it’s the feature we most miss in our little house, where you have to step right onto the nice old hardwood floors from the porch. Because it’s a little old bungalow, I do love its built-in linen closet with drawers and the two drawers at the bottom of each closet (great for extra blankets, shoes, etc.). Since we’re working with limited space, my latest project is to design a built-in fold-away drying rack. In addition to being eco-friendly, it also prolongs the life of many fabrics, so worth the effort in two ways. 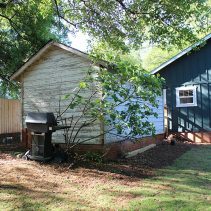 I have to admit that while I’m happy for your new plans, I truly love your current little house and the creative ways you’ve made the most of its quirks, challenges, and possibilities. Some other family is going to love the running start on home that you’re giving them!